In the heart of the Southbank, Mondrian London at Sea Containers is set to become one of the capital’s iconic hotels. A Transatlantic fusion of English and American aesthetics, it is inspired by the glory days of 1920s ocean liners – a theme that runs from the lobby’s giant, copper-clad wall, shaped like a hull, to the first-class menu served in the brasserie-style restaurant, Sea Containers. In such a setting, quality is paramount. 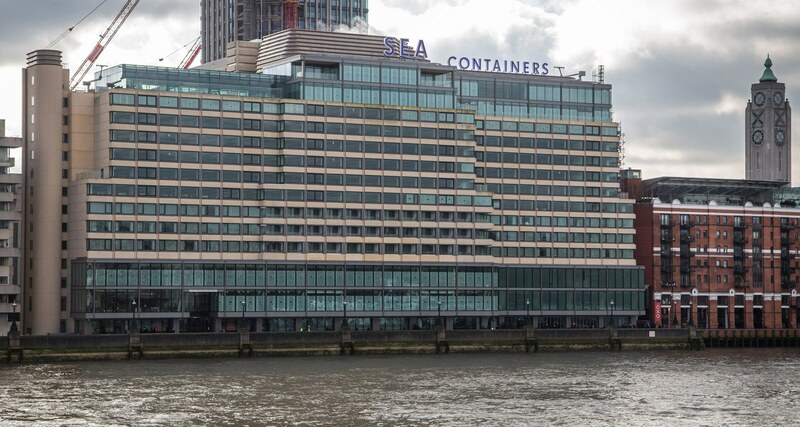 Sea Containers is open from 6am to midnight and serves up to 700 covers every day. 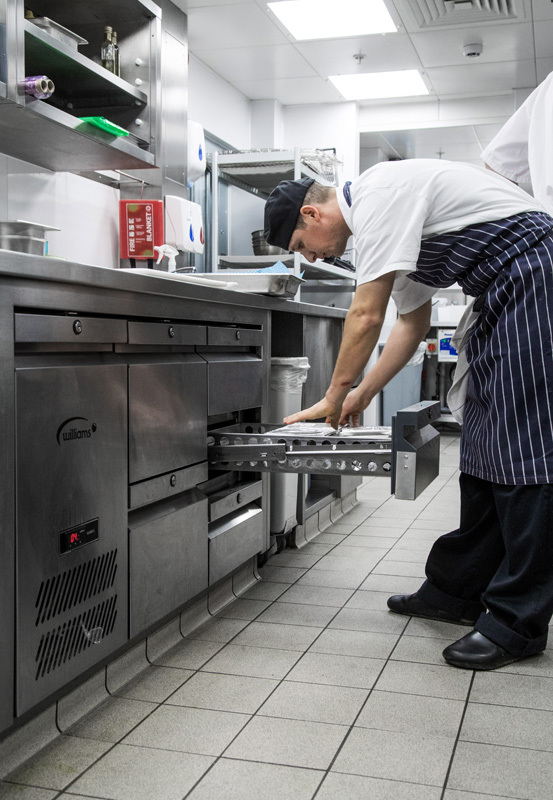 “Catering equipment gets a pounding, it has to be very hard wearing,” says Executive Chef Luke Rayment. 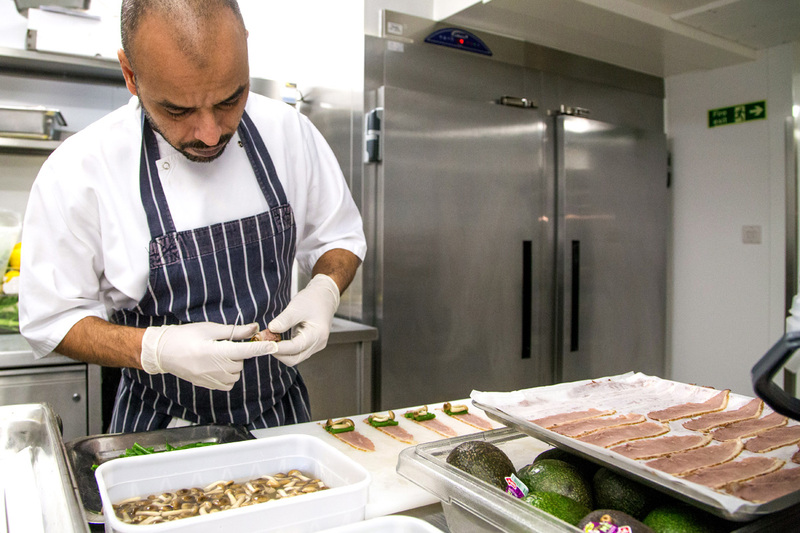 Given the restaurant’s open kitchen, it also has to look good. 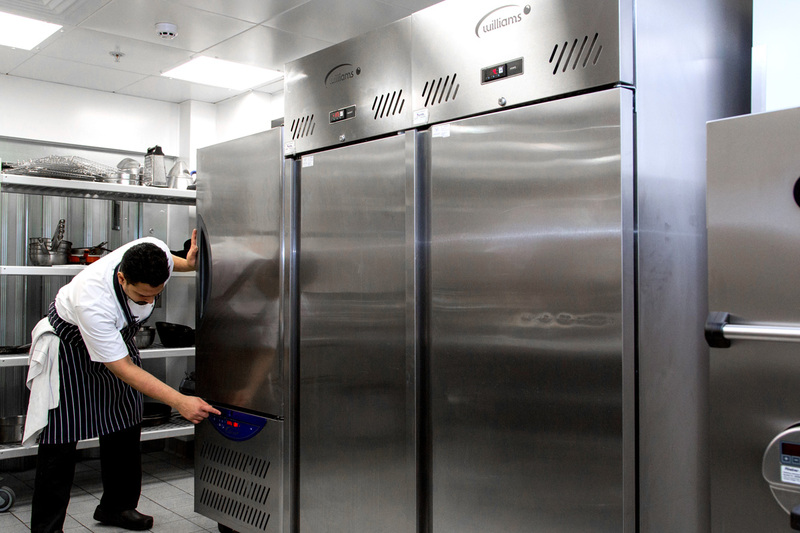 When it came to refrigeration, Sea Containers chose Williams. 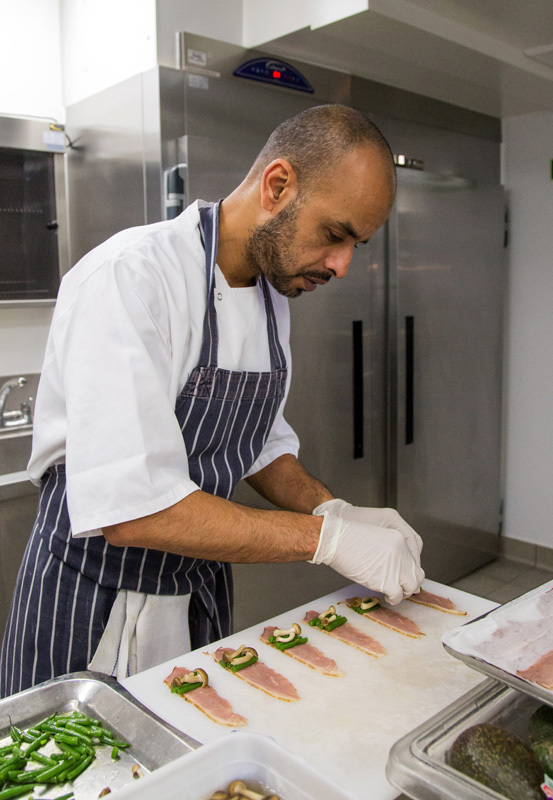 Luke works alongside the hotel’s Culinary Director, New York chef Seamus Mullen, and the menu is very much about sharing and healthy foods, reflecting the restaurant’s youthful, refined ambiance. The shaved mushroom salad with pine nuts, Idiazábal cheese and brown butter vinaigrette won Hot Dinners best dish award for 2014. 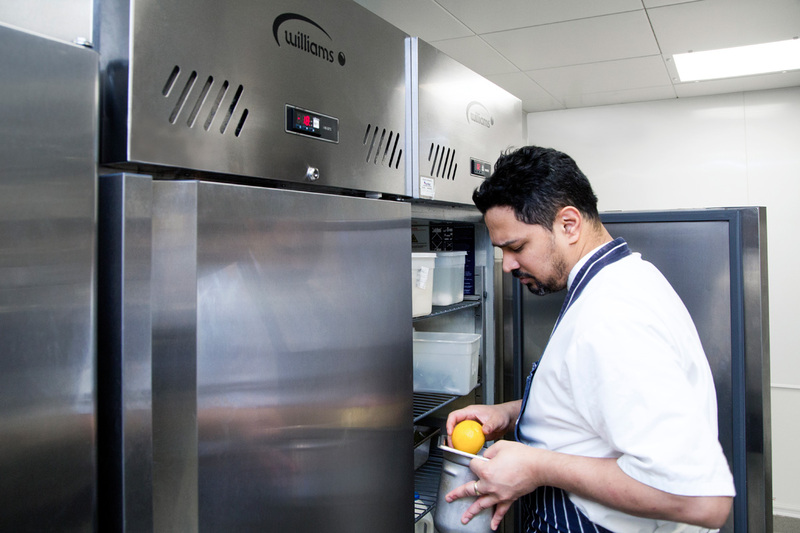 Vision Commercial Kitchens project managed the Sea Containers installation, with Tricon as the design consultant. Williams supplied a wide variety of equipment, including upright cabinets, ‘biscuit top’ under counters, and blast chillers. Seven application specific coldrooms, including two prep rooms for fish and general produce, were also provided. 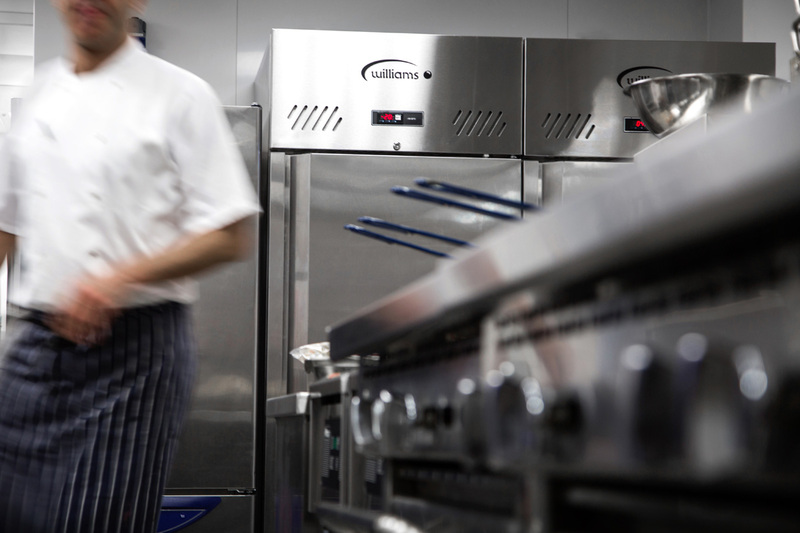 “Inevitably things can go wrong with catering equipment – especially in a busy environment. We only work with companies who can provide the best service,” says Luke. The benefit of this approach was apparent during the installation, when it emerged that the coldrooms opened onto main fire escape corridors, so Williams replaced the original doors and front panels with PIR fire retardant ones. 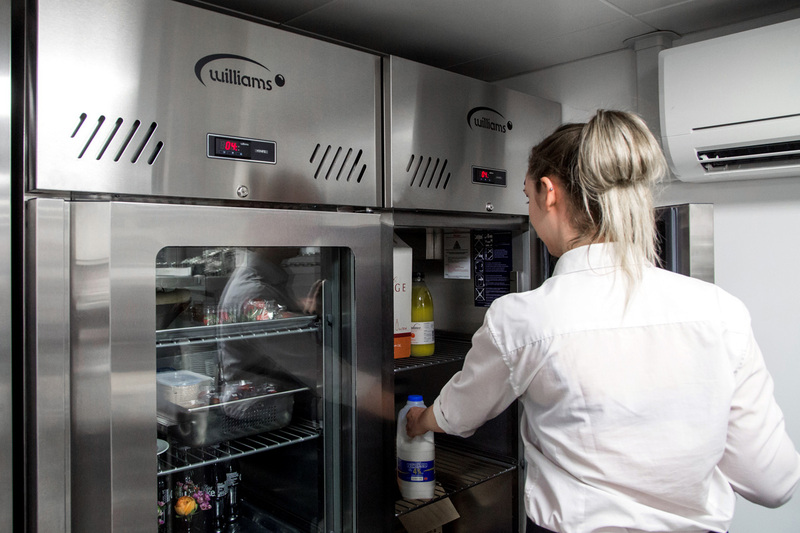 The refrigeration at the hotel, supplied by Williams, has a variety of ‘green’ features, with all the standard counters and cabinets running on hydrocarbon. This refrigerant, which has a low Global Warming Potential (GWP) and zero Ozone Depletion Potential (ODP), has excellent thermodynamic properties, thus maximising energy efficiency. All units are below the 150g charge of hydrocarbon threshold, ensuring safety and removing the need for site inspections. Additional energy saving features range from high performance insulation to CoolSmart intelligent controllers. 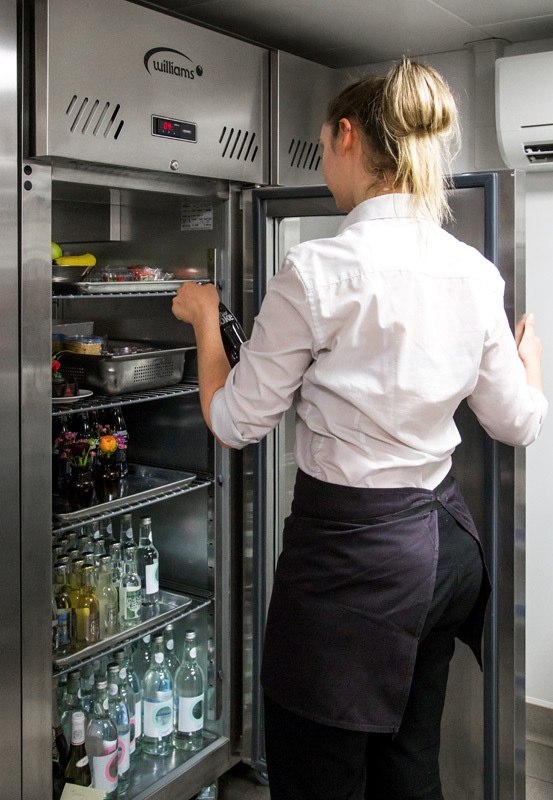 These minimise the equipment’s energy consumption, through processes such as fan and heater pulsing, intelligent defrost and independent management of evaporator and condenser fans. The refrigerators supplied included a mix of Jade one, two and three-door counters and under counter Ambers with a variety of special options including glass doors, left hand opening doors, drawers and ‘biscuit top’ models that fit under the worktop. 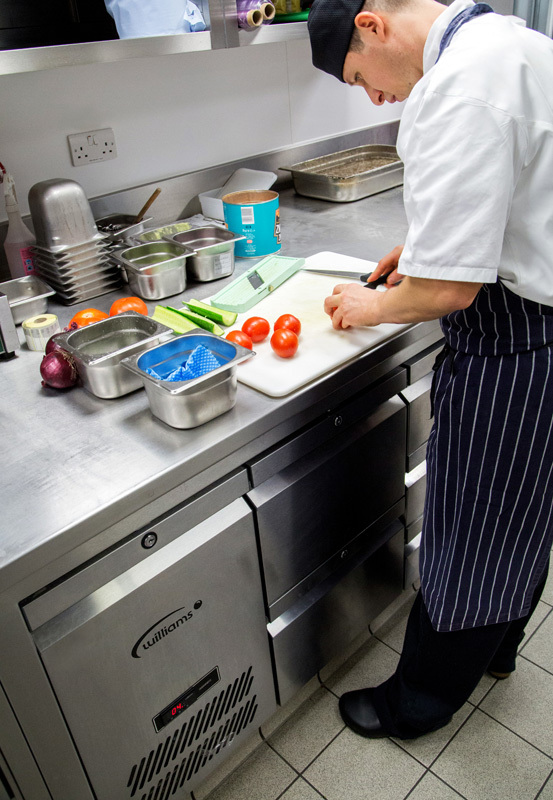 Williams also supplied a WBC40 reach in blast chiller to allow for rapid chilling of cooked food. 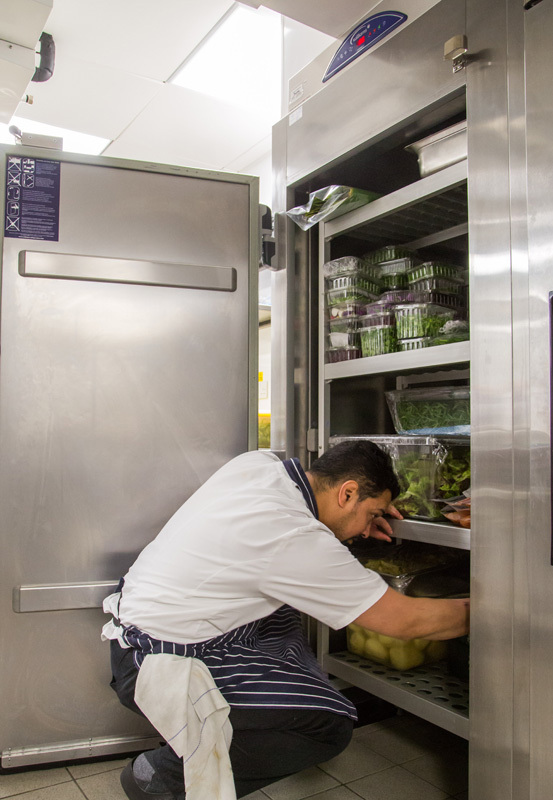 Its ‘AirSmart’ advanced air flow eliminates product dehydration and ensures food is maintained in the best possible condition. The coldrooms at the hotel were constructed using Williams’ roof and wall panels with camlocks, which are securely foamed into tongue and groove joints for a tight-locking, stable structure. These eliminate the risk of ice build-up in joints and ensure the ‘thermal envelope’ is 100%, reducing energy consumption. The panels use 90mm, zero ODP foam insulation for optimum efficiency. Each of the coldrooms were tailored for a specific storage purpose: beverage, dairy, meat, general produce as well as two freezer rooms. 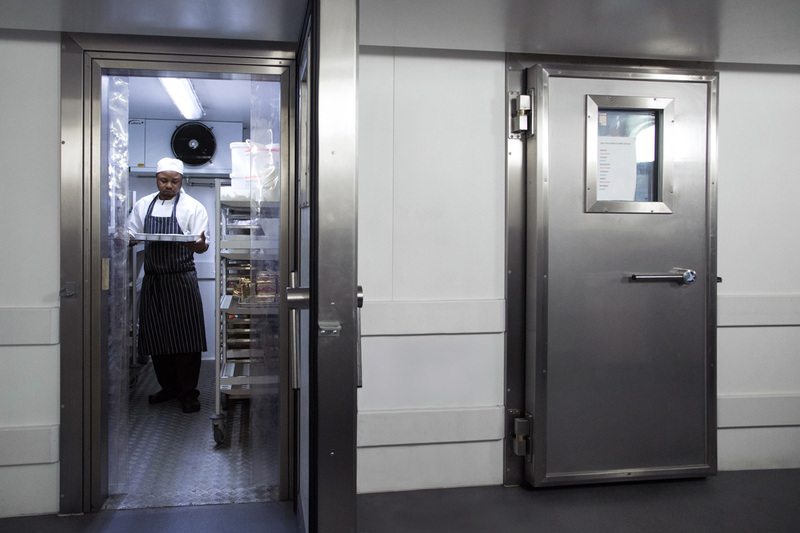 The rooms were fitted with bumper rails, to prevent damage from trolleys used to transport food, and viewing panels, ideal for busy preparation areas. The doors were also fitted with strip curtains to help prevent temperature loss while open. 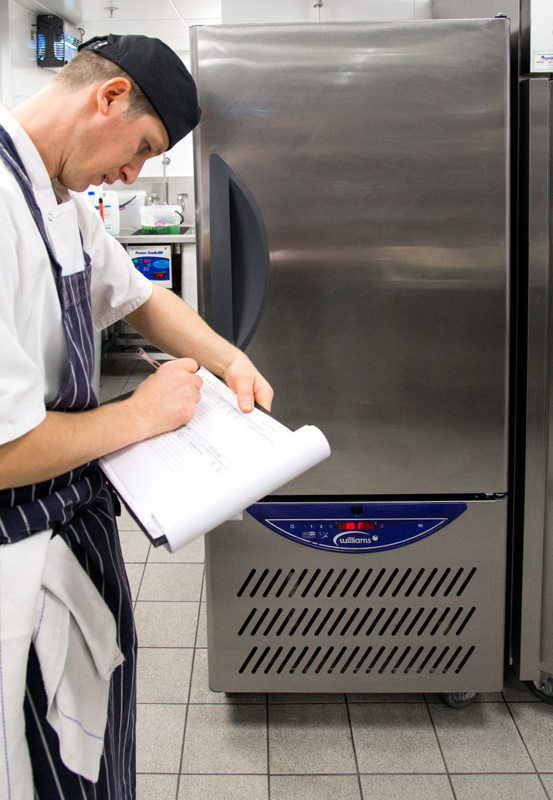 Williams Refrigeration Southern undertook the site survey for the coldrooms, supplying the drawings as well as testing and commissioning the units.